Renowned designer and professional hell-raiser James Victore wants to drag you off your couch and throw you headfirst into a life of bold creativity. 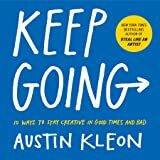 He'll guide you through all the twists, trials, and triumphs of starting your creative career, from finding your voice to picking the right moment to start a project (hint: It's now). Bring your biggest, craziest, most revolutionary ideas, and he will give you the kick in the pants you need to make them real. No matter what industry or medium you work in, this book will help you live, work, and create freely and fearlessly. There ain't no rules. Take a risk. Try them out. Live dangerously. Start reading Feck Perfuction: Dangerous Ideas on the Business of Life on your Kindle in under a minute. "There are five books that are so important in what they have to say that I gift them to others. Now, there are six." --David Hieatt, cofounder of The Do Lectures and Hiut Denim Co.
James Victore is a designer for bold believers, an advocate for creativity, and an artist whose work has been exhibited at New York's Museum of Modern Art. He lectures and teaches regularly around the globe. He lives, loves, and works in Texas. Victore believes that normalcy is barbed wire to the human spirit. And questions are the wire cutters. This book is a subversive tool for consciousness-raising. -Scott Belsky, founder of Behance and author of Making Ideas Happen. Once I started reading I literally couldn't put Feck Purfuction down. I feel like in this book James approaches some of the most fundamental parts of being a creative—an artist, designer, writer, etc.—with brutal honesty and what he describes as a "radical" sense. The ideas shared in the book are certainly different, what James clarifies as "dangerous", because they're the types of insights others simply aren't willing to tell you. He covers things like: don't worry what other people want, worry about what you want. Or: fail more, because that's how you're going to learn best. Or even: screw the high-paying job, do what makes you come alive because that's what the world needs (and interestingly enough it's often what we need as individuals too). 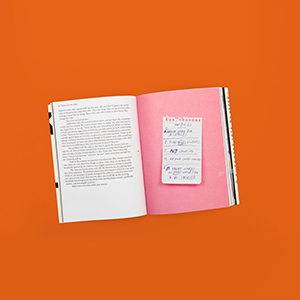 The book is broken down into short chapters highlighting different ideas. 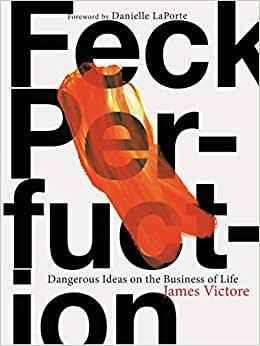 James shares his life experience and really drives home the importance of "feck purfuction", that is: the notion that creating is an act best served by simply doing it, not waiting around for circumstances to be right or for your talents to be world-class. Just get out there and make a mess, as James says. Do you know James Victore? I do, although, we've never met in person. So, as an emerging artist, I’m a fan, a follower and the recipient of James’ good advice and ruminations for the past four or five years. Beware, this review could be considered biased, however, that can hardly stop me. James worked on this book in the wee hours of the morning on his porch while drinking coffee … the sun was far from rising … his new baby daughter, his pre-school son and his lovely wife were still dreaming away; this is just a teeny tiny (out of hundreds/maybe thousands) examples of his grit and determination and how to get important things done. 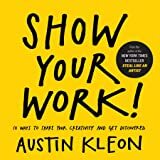 If you are a Creative .. . or, if your talent is tucked away in your little finger … this book will kickstart any ambition you wish to bring to the surface…. and, at the same time, make you a better person for it. James doesn’t mince any words, he gets directly to the core of the matter and will motivate you beyond motivation. He can make you laugh out loud and he can make you cry…. he’s outrageous and sensitive all rolled into one groovy guy. 5.0 out of 5 starsThis Book Won't Help You. It'll Challenge You! If you are looking for another self-help book to push you to be better this is not the one you are looking for. If you are looking for a book that will kick you hard in the heart and nether regions and force you to think differently about everything you work on then you should read this and then get ready to work. A must-read for anyone feeling lost, confused or down on where they are in life. For anyone who knows there is more in them than what they punch a clock every day to do. For anyone wanting to do more with their life. Buy it. Read it. Do the work. Oh, and of course have fun! 5.0 out of 5 starsFantastic book for anyone looking to improve themselves. This is one of the best books I’ve read on the topic of productivity, personal improvement, and inspiration. I’m recommending it to my friends, my managers, and my employees. This book is a straight-talking kick in the pants to ignite and inspire you to become your best self. Personally, I’ve had a stagnant, unfulfilled feeling in the pit of my stomach for some time. I have ideas, I have desires, but my fear of failure, fear of putting myself out there, and fear of falling short of perfection have fully halted me from action. Victore lays down the truth about the reality of our fears in this book, and I mean the TRUTH, in a way that I have not encountered thus far and that I needed to hear. My biggest takeaway is that this book helped me see that I’m overthinking myself into a life I don’t want, because I’m afraid I’ll fail and fall further away from the life I do want, when all that I really need to do to have the life I do want is to get out of my own way and choose to live it. 5.0 out of 5 starsEasy to read. Hard to swallow at times. Impossible to ignore. Absolutely essential. I feel like this book has been a long time coming. James Victore has been challenging and encouraging creatives to embrace their weirdness and ignore the status quo in favor of their own voices. Not only is this book a perfect compilation of all of what I would consider James' best ideas and advice for the creative life, but it is also an incredible resource for anyone wanting to get a shift in their perspective. From "Your parents were wrong" to "kill your phone" to "I'm a fake" and "Make work that matters" James is unashamed, brutally honest, and practical. Each idea is challenging to things that I have struggled with or still struggle with and it's such a refreshing change of pace in the creative realm. It's also a really portable size, design and layout make me want to read it and re-read it and leave it on my coffee table for everyone to check out. Thanks for sharing your own lessons for yourself with all of us James, I'm looking forward to wearing this book out!